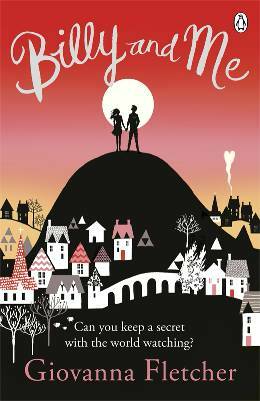 This is the first book by Giovanna Fletcher I have read, and I thoroughly enjoyed it. Billy and Me follows the story of Sophie May – a girl who has always had big dreams of going to university and travelling the world, but has resorted in staying at home in her little village, living with her Mum and working in the local tea shop. Sophie May lives a pretty ordinary life, but when Billy comes into the picture, she has no idea how much that is about to change. Billy is an actor who is currently working on a big movie which is being filmed in the town in which Sophie May lives. Sophie May has a secret which she has been hiding away for years, and Billy has big dreams to become a huge Hollywood success one day. However, after he and Sophie May fall for one another, will Sophie May have the courage to step out of her ordinary life and into Billy’s world – a glamorous life constantly in the public eye? Will the constant attention from journalists uncover her big secret and leak it for the world to see? Firstly, what a beautiful cover the book has. The silhouette of the town against the beautiful orange and yellow sky completely caught my attention straight away, as the colours really stood out and pulled me in. I had read so many positive reviews about this book, so I was really eager to give it a go. Towards the beginning of the novel, we are made aware that Sophie May has a huge secret that she has been hiding for years. As the story unfolds and the relationship between herself and Billy progress, Sophie May is eager to share her secret with him. However, each time she plucks up the courage to do so, there is always an obstacle that prevents her from sharing it with him. I absolutely loved this technique, as it really drew me into the book and created a big suspense into finding out what the big secret was, therefore I had difficulty putting it down. The characters in this book were so loveable. Firstly, I could immediately identify myself with Sophie May from the very beginning of the story. Like myself, Sophie May suffers from extreme cases of anxiety and panic attacks, therefore I could relate to her feelings and her actions. I also found this really quite comforting in a way, because in many books I have read, the main female character appears to be pretty confident, therefore I haven’t been able to identify myself with them as much as in this novel. Billy is such a sweetheart – despite his reputation, his heart really is in the right place and he treats Sophie May like a princess. Her best friend, Molly, and her mother are also both very loveable characters, and it is clear from the very beginning that they both play a huge role in Sophie May’s life. I will be honest, this book had me in tears towards the end. A couple of events happen which made me want to jump into the book and give Sophie May a huge hug. I’m not going to expand on this point as I don’t want to get too carried away and spoil anything, but it definitely brought a few tears to my eyes. Despite this, the ending of the book was wonderful. I honestly really enjoyed reading it and I’m so glad that I have came across Gi’s books. I am definitely going to be reading other books written by Giovanna Fletcher in the future, and if you haven’t read any already, I would recommend this book as a starting place. It has such a simple and easy-to-follow writing style, and the more the story unfolds, the more I was drawn into it. I have to look into this book because my boyfriend’s name is Billy!!! !